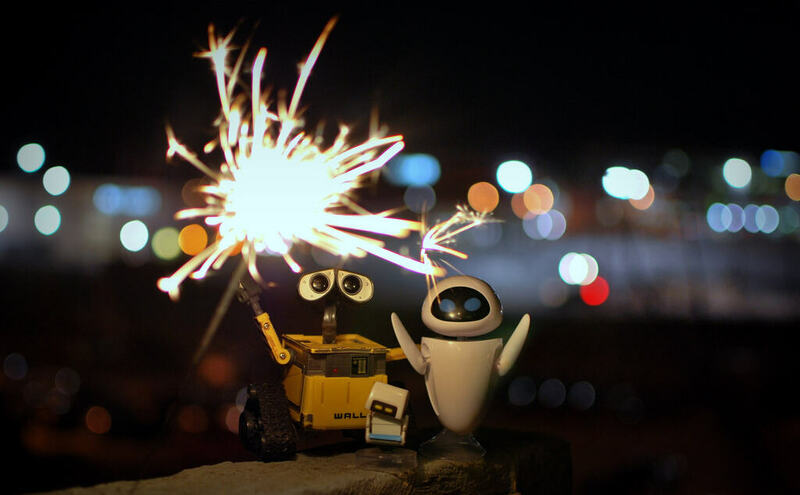 Happy New Year from us at Shareaholic! We hope you enjoyed the necessary festivities and are psyched for 2014. As you prepare for the new calendar year (and finalize marketing strategy), here are 12 predictions we’ve gathered from smart and successful marketers about what content marketing has in-store for us. Before you continue, be sure to read our recap of content marketing trends from 2013 if you haven’t already. Hate hitting a landing page that aggressively asks you to download a PDF? No thanks, I’ll just Google this information elsewhere. Whitepapers that can easily be turned into blog posts should be just that — blog posts. It’s silly to think readers need any more friction in accessing your content. Attention spans are growing shorter – a seven page research paper is way less likely to be read than it was three years ago. Whitepapers are often expensive to develop. Drafting significant content takes time, and many marketing plans are crafted around timely events. Now, that doesn’t necessarily mean quality content is going to take a hit, rather, content marketers are going to be smart with their investments. The most well-researched, well-written article, whitepaper or book isn’t worth anything if no one reads it. Therefore, marketers will begin creating more content that attracts readers to get the most bang-for-their-buck. And if that leads to the death of the whitepaper, so be it. Content is not just letters and words; it’s a sophisticated language. “2014 will be the year content busts out of the text box — even microbusinesses will begin branching out into video, images, audio and other media,” affirms Rachel Parker, Founder and CEO of Resonance Content Marketing. Although we’ve already seen this happen with the explosion of visual content platforms such as Vine and Instagram, I agree that 2014 is when we’ll witness the full potential of non-alphanumerical content. It’s easy to scoff at vloggers and their work. But, increasingly, viewers are flocking to subscribe to their favorite YouTube and Vimeo channels. Are you missing out on a golden opportunity? “While video blogging became popular a few years ago, I believe 2014 will be the year where more and more individuals in a thought leadership position will take advantage of it,” declares Fischgrund of FischTank PR. “Cheaper, higher quality video cameras are making this possible.” It’s easier than ever to make an awesome video you’ll be proud to publish. We’ve seen video recorders decrease in price and increase in quality; we’ve also seen media players evolve — and shrink — from big screens to mobile devices. “Video will play a more important role in content marketing, as consumers increasingly use their mobile devices and tablets to access this kind of content,” predicts Pamela Parker, Executive Features Editor at Marketing Land and Search Engine Land. This isn’t the same silly and overused prediction that content will become more conversational, rather, this predicts content will be treated as an ongoing conversation with customers. Although marketers have always known that customers call the shots, customers have not always known which ones to call. The challenge that marketers face, as the industry welcomes disruptive technologies and innovative platforms, is consumers’ own lack of understanding in what it is they want. Take, for example, the introduction of Twitter. When the social media site first launched, no one could possibly imagine what it would become and how people would use it. They just used it, and overtime, they figured out better ways of using it. Sure, there were constraints such as the 140 character limit. But the rest was up to users who were still figuring out exactly how they wanted to use it. Now that netizens have, more-or-less, come to terms with what they want from content producers (at least, for now), they’re taking control of the steering wheel and deciding for businesses what content should be produced. “Hyper-personalization will only grow in importance for engagement and consumers will have increasing ability to control how often and the types of interruptions in their lives they have with brands,” suggests Puneet Mehta, CEO and Co-founder of MyCityWay. There’s simply too much content and not enough time in the world to consume it all, so people will be far more selective with what they read but you stand a chance of being seen-and-heard if you channel your inner creative. Additionally, what will always ring true is that there will be plenty of unique opportunities to hypertarget readers with extremely tailored content. “We will see content topics become increasingly specific as marketers look to fill niches that have not yet been inundated,” says Matt Sommer, COO of Brolik, a full service digital agency. What I’m most excited about is this prediction. “Content marketing that’s another 500 word blog post isn’t succeeding anymore,” he claims. In fact, you’d be hard pressed to consistently pack enough research and substance into 500 words. I love this because quality is going to be the new currency of the content economy, not pageviews. More resources will be poured into each piece; long gone are the days of cheap, keyword-loaded content. Farewell content mills, perhaps virality mills may soon follow too. Why is this happening? Readers are putting pressure on content producers to create higher-quality content in a sea of vague, generic content, and they’re ready to reward businesses that produce content with true substance (as are search engines). This year, content and sales will learn to play well together. Content is no longer going to think of itself as an individual unit within the company. Instead, it will recognize its role as one of many lubricated gears in a well-oiled machine and will behave as such. Pete Caputa, VP of Sales at HubSpot, wrote a great article titled Why sales is going inbound – and how to do the same with your sales strategy which shares ways to effectively improve content-and-sales collaboration. It’s easy to get overwhelmed as a marketer. Yet, many marketers still don’t seem to have a clue and get lost in all of the new avenues for promotion. Hopefully 2014 will be different and marketers will stop wasting time and energy on channels that simply don’t work. Now that content is no longer a portion of the “experimental” budget and has its own designation in marketing budgets, content teams will be responsible for reporting on metrics that justify the effort and money spent. If they haven’t already, then “brands are going to start demanding more measurement and ways to tie content metrics back to business results. Agencies and tech companies will need to address these questions with more than just lip service. That will be an overall positive thing for the space, as it will force everyone to get better,” shares Shane Snow, Chief Creative Officer at Contently, the premier storytelling platform. Last year, sponsored content was one of the hottest topics in media. Proponents declared it is the perfect solution for diminishing ad revenues. Opponents believed it was the end of objective journalism. Without a doubt, sponsored content will continue grow and become mainstream as more influential media offer up what cynics might call “their journalistic integrity” to rescue much lost revenue. The New York Times plans to introduce ‘Paid Posts’ this year; seeing this, many other publications will follow suit and many more brands will be prepared to fork over money from their marketing budget to sponsor relevant content. At the moment, pricing isn’t set in stone as publishers get a feel for what they can charge businesses and as advertisers evaluate ROI and renegotiate fees with publications. Of course, as more and more publications begin offering sponsored content slots — and supply increases — “Native Advertising will settle down and get more affordable for more people,” believes Adam Torklidson, owner and proprietor of Tork Media. Therefore, even small businesses will soon be able to pay for prime placement in target publications in their respective niche. Many have championed content marketing as the latest silver bullet in a marketer’s inbound arsenal, but it’s a fully integrated marketing strategy that will always drive the best results. “We’ve been seeing this trend rise over the last year, but with big [and recent] changes in the SEO industry, such as link building practices and Google Hummingbird, [content, SEO and PR] are really going to blend together into one. In fact, SEO has really evolved so that content and PR are requirements for getting found in search engines,” explains Kari Rippetoe, Content Marketing Manager at Marketing Mojo. If you liked the story, do share it with friends! Also, if you would like more exciting articles about content marketing sent straight to your inbox, let us know which email you prefer and subscribe to our blog so you’ll never miss another great post.